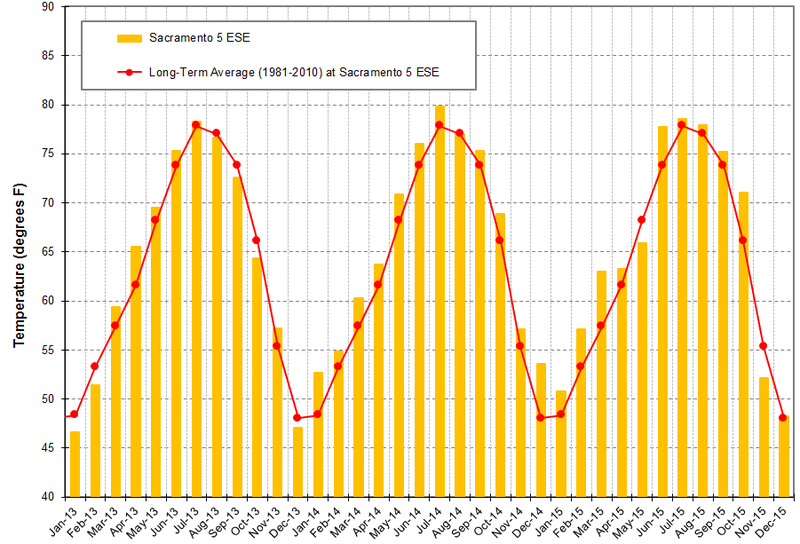 Hydrologic conditions during 2013 through 2015 continued the pattern of generally dry conditions that began in 2007 for the Sacramento Valley. 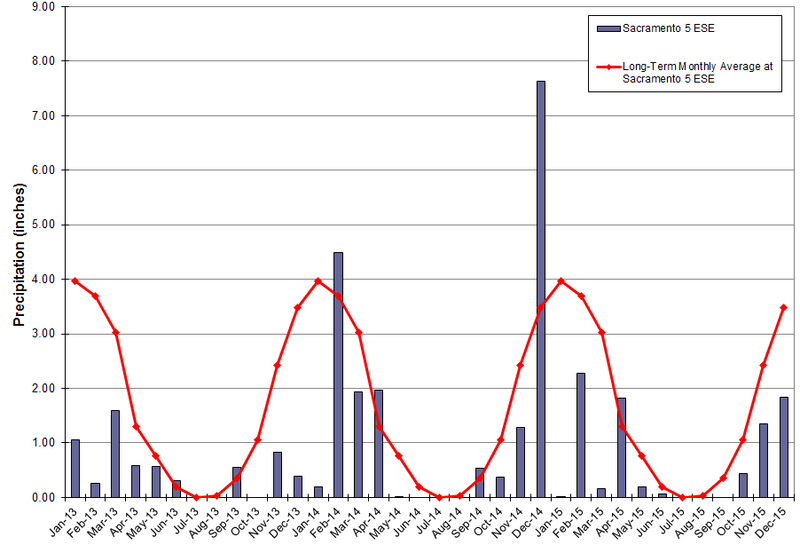 Sacramento River Water Year Index: The 2013 water year was classified as dry and the 2014 and 2015 water years were classified as critical. The 2015 water year runoff was the lowest recorded since the 1977 water year. After the wet year of 2006, eight of the nine water years through 2015 were classified as below normal, dry or critical. 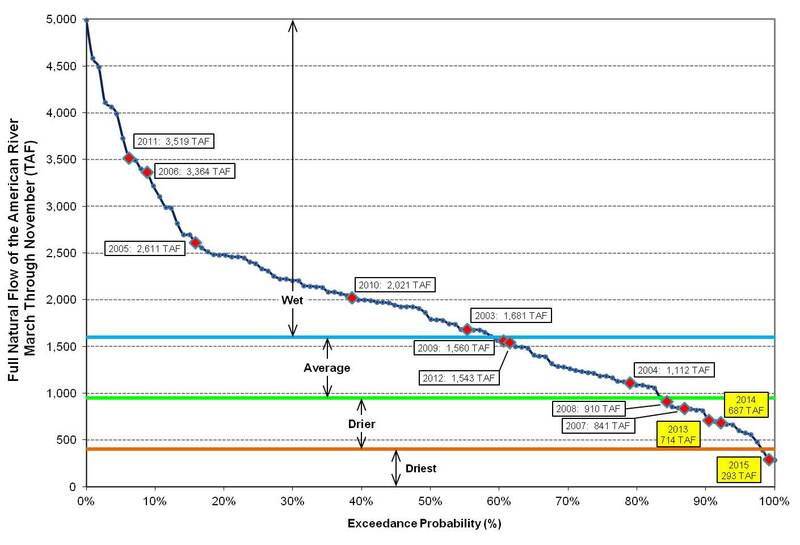 Water Forum Agreement Year Type: A more local indicator of hydrologic conditions is calculated unimpaired inflow into Folsom Lake. 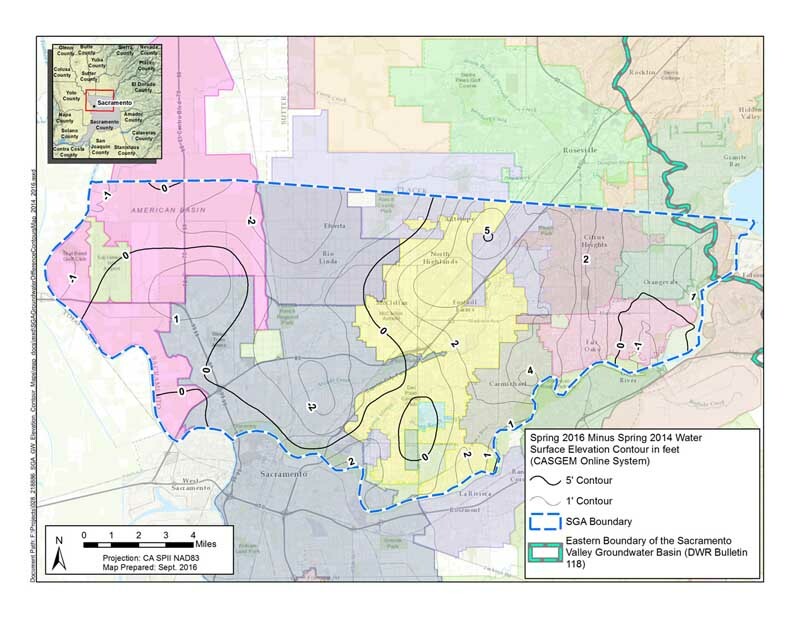 Inflow into Folsom represents runoff of the American River Watershed to the east of the SGA area and largely represents runoff of the snowpack of the watershed. From the local hydrologic perspective, the three-year period is among the lowest ever recorded. Local Weather: The last several years have been marked by significantly below-average local precipitation. From 2013-15, the region had only 55 percent of expected rainfall (32.71 total inches versus 59.61 total inches over three years). In addition, this period was marked by significantly above average annual local temperatures. The long-term average annual (1981-2010) temperature is 63.3 degrees Fahrenheit (F) while the respective average annual temperatures were 63.7, 65.9, and 65.1 degrees F for the years 2013, 2014 and 2015.